There was nothing particularly remarkable about the facts in the case of Reactilab Limited vs Caroline Debattista (1038/2018GM – decided on March 12). It was the typical debt-collection dispute, plenty of which are heard by our courts every day. What was interesting, however, was how the Civil Court, First Hall, delivered in its judgment, with meticulous detail, a historical lesson of the institute of contumacia at law. Contumacia is the state in which the defendant finds himself if, after he has been summoned by the Court, he fails to file a sworn reply within the period provided at law – usually of 20 days. The Maltese Code of Civil Procedure provides rather thinly in regulation of this institute at law, and most of the rights appertaining to a defendant who is in contumacia were established by our courts. When reading judgments, one realises that historically, our courts did not take kindly towards defendants in contumacia. Indeed, the basis of this doctrine is held to be that of lack of respect towards the courts, and one’s deliberate or negligent failure to appear further to a court’s order. In the judgment of Reactilab Limited vs Caroline Debattista, the Court traced the etymology of the word contumacia in the Italian understanding of one who did not incline to the authority of the Church – usually through excessive vainglory – and this despite possibly facing excommunication. It explained how during earlier times (in Roman Law), the plaintiff was authorised to force the defendant to appear before the Judge, obtorto collo (literally, by dragging a reluctant defendant to court), and later through the sequestration of his property. In time, the law evolved in such a way that the presence of the defendant no longer remained indispensable, despite there still being remains of an attitude towards punishing the defendant for failing to appear and defend himself. Today, this attitude is manifested in the fact that the contumacious defendant is not allowed to contradict the facts proposed by the plaintiff and is not permitted to bring forward any evidence. In fact, it must be said that a contumacious defendant is legally reduced to a somewhat silent passive observer of the case brought against him; and while this situation does not guarantee a win for the plaintiff (it was said time and time again that in the superior courts, silence through contumacia is nevertheless deemed as a contestation of the case), there is little that the defendant can do. In this judgment, the Court further observed that, at a time, Maltese law provided that if the defendant defaults in filing the sworn reply, the court was then obliged to mete out its judgment as if the defendant failed to appear to the summons. This, unless the defendant demonstrated to the satisfaction of the court a reasonable excuse for his default in filing the sworn reply within the prescribed time. Back in 1993, there were some attempts to ease this rule, after the Permanent Law Reform Commission noted that this provision was excessively formalistic and ritualistic and possibly in contradiction with the fundamental human right of fair hearing. It proposed an amendment stating that a contumacious defendant could nevertheless be entitled to defend the action if he satisfied the court that he had a ‘prima facie defence’, in law or in fact, or else, disclosed such issues of law or of fact as may be deemed sufficient for him to defend the case against him. This proposal never made it into law; but the legislator added a proviso stating that the court shall, however, before giving judgment, allow the defendant a short time which may not be extended within which he could make submissions in writing to defend himself against the claims of the plaintiff. Such submissions would have then to be served on the plaintiff who shall be given a short time within which to reply. 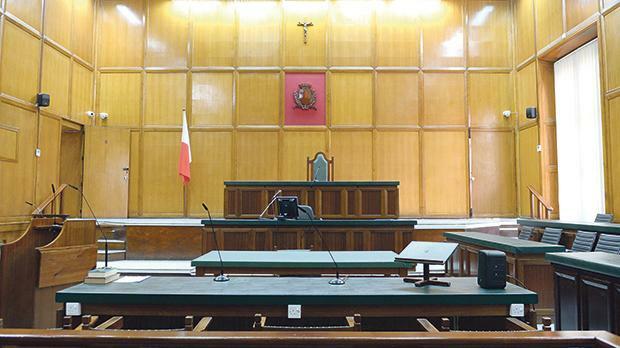 In its judgment, the Court referred to another judgment, that of Costantino Abela vs George Azzopardi (May 22, 1990, Collection Volume LXXIV.II.337), which had expounded on the significance of the institute of contumacia, and had stated that it meant that the defendant had failed to be present for judgment, for reasons unjustified, which would in turn indicate a deliberate disobedience of the court’s order, and a level of arrogance towards the rules of judicial procedures. Contumacia in its juridical sense meant the total absence of the defendant, both in the acts of the case and during the hearing. The Court concluded that since the defendant in this case neither filed a reply, nor did she appear for the court sittings, she was to be considered contumacious for the purpose of the law. The Court then moved on to accede to the plaintiff’s requests and ordered the defendant to pay plaintiff the sum of €26,002.83. Carlos Bugeja, Senior Associate at Azzopardi, Borg & Abela Advocates.